Building your custom new home is the opportunity to turn your vision of the perfect house into the perfect home. Saliba brings over 60 years of superior construction knowledge and capabilities that has earned them the reputation of building the finest homes in the area. Saliba will build your custom home to your own specifications wherever you choose. 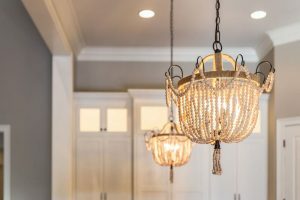 Their foresight and history of building fine custom homes brings the understanding that allows the flexibility sometimes needed as the building process progresses, making changes as seamless as possible. Naturally, planning is the key to building your custom home. Again, Saliba’s history of building luxury homes helps guide you with what you may need in your custom home, like possibly more storage for fine collections and making your home more tech-centric to reflect today’s technology in electronics and building materials. 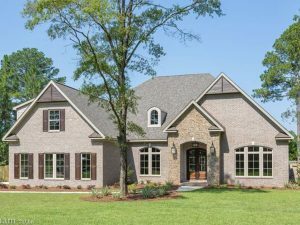 The privilege of building a fine custom home is reflected in the details that reflect your personal lifestyle and trends of the time, like making the indoors seamlessly move to the great outdoors, living spaces with unique windows, doors and flooring. Planning for outdoor living in a custom home melds your living space with the beauty of nature on your choice site. Fine details for custom home construction are reflected the moment you see your home. Every detail from the custom-made front door to unique hardware, beautiful moldings and deep, rich natural stone counters and unique bathrooms simply say quality everywhere. Quality in details is the trademark of a Saliba custom fine home.